Rugby season officially starts in a little over a week. Yes it’s that time of year again when cricket and rugby and football are all on at the same time. The start of the Super Rugby season always seems to catch me by surprise. Anyway I’m not going to prattle on about the length of the season, I’m here to talk fantasy Super Rugby. I’ve always been a fan of fantasy competitions, but I often lack the stamina to last the whole season. A lot of the fantasy games out there get a little stale and repetitive (think the usual salary cap games or pick the winner). 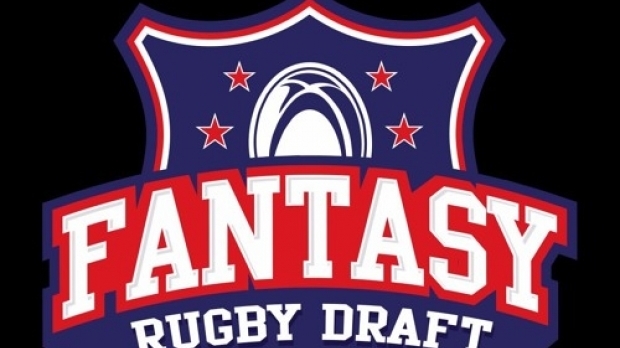 I stumbled upon Fantasy Rugby Draft (fantasyrugbydraft.com) a few years back and loved it. For those that haven’t heard of it, the basic premise is you play in leagues of 10 (public or private), and each league only has one of each player. So for example, if I pick Beauden Barrett, no-one else can have him. The way the players are selected is your traditional American-style snake draft. This is usually the most enjoyable part of the season as each member in the league is assigned a draft spot (1-10) which reverses each round to ensure fairness and you take turns to select players. Once your team has been drafted, you compete head to head against the other members of your league, with the top 4 going to playoffs at the end of the season. You can change up your players through trading, or getting new ones on the waiver wire or free agency. This year, we have set up a Sportsfreak league for Super Rugby bragging rights (there’s still one spot left if anyone is keen – DM me). No doubt we’ll find some sort of punishment for the ‘sacko’ or loser at the annual contributor get together. But in order to keep it an even playing field, below are some thoughts I’ve got on who to draft, and who to avoid. The big sticking point here is the rest weeks that the All Blacks will have to take. That automatically lessens the value of a lot of the better players. While players like Beauden Barrett and Damian McKenzie will be high scorers again, they might not be as high as previous seasons and you may find better value elsewhere. Fringe All Black players that will add a point of difference in their position could be crucial. Players that come to mind for me are Ngani Laumape, Vaea Fifita, George Bridge, Richie Mo’unga and Jack Goodhue. Some that I will be avoiding include Beauden Barrett (may not always kick, hasn’t returned from his honeymoon, rest weeks), anyone in the Hurricanes back three (with so many options there’s bound to be some rotation), and Sonny Bill Williams/Ma’a Nonu. With the rest weeks comes chances for others, and a couple of possible sleepers that could burst open your league are Gareth Evans (arguably going to start at #8 for the Canes and doesn’t feature in the top 200 suggested rankings) and the starting flyhalf for the Highlanders (either Bryn Gatland or Marty Banks). Australia’s rest situation is a little more confusing with the ARU looking at resting star players throughout the season, but how much, and who, is completely unknown. This doesn’t make for confident drafting. For me, you still can’t go past Folau and you would be silly not to take him if you had the chance. Other Australians I’m keen on include Reece Hodge, Michael Hooper, Curtis Rona, and the Reds Front Row. As an aside – Front Rows are usually great value if you can get the right one. They are also unaffected by enforced rests as you’re picking the front row, not any specific players. Who will I avoid? Bernard Foley. With rest weeks and the Waratahs’ recent inconsistency, I don’t think he’s worth burning a high pick on. I’m also going to avoid any of the Brumbies’ outside backs (maul maul maul) and all Australian halfbacks. The last one is a little irrational, I just think they’re all pricks. A couple of lesser known players that might fire up – Filipo Daugunu is proving to be a popular pick in the drafts so far, and Ned Hanigan from the Waratahs always has the potential to go big if he regularly starts. Now into the big unknown for a Kiwi like me – South Africa. With most of my previous leagues being full of Kiwis, I find you can get a lot of value from South Africa if you’re prepared to take a punt. I’m keen on the Lions Front Row, Kwagga Smith, and Aphiwe Dyantyi (so basically Lions starters). I will stay away from Jesse Kriel, a big name player who doesn’t deliver the fantasy points often. Also avoid Duane Vermeulen and Ruan Combrinck (who recently have over promised and underdelivered, as well as being injured often). A couple of lesser known players (at least in NZ) that I always try and take – SP Marais and Curwin Bosch. Both are outside backs who do a bit of goal kicking, which is like gold. So will I get any of my picks now that the rest of the league knows? We’ll find out on draft day. One thing fantasy is really good for, is actually getting me excited for the rugby season. Especially with a World Cup on the horizon.